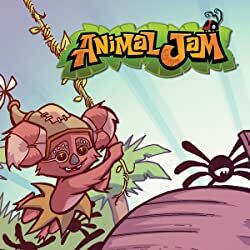 Based on the adorable BILLION-times-downloaded game! 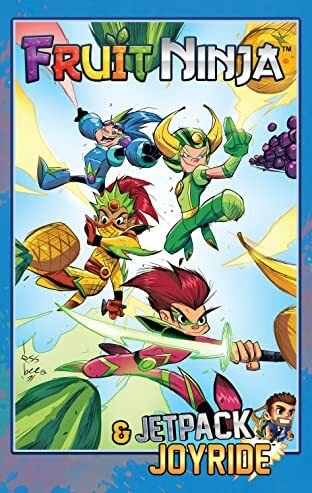 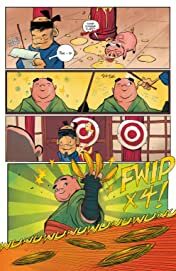 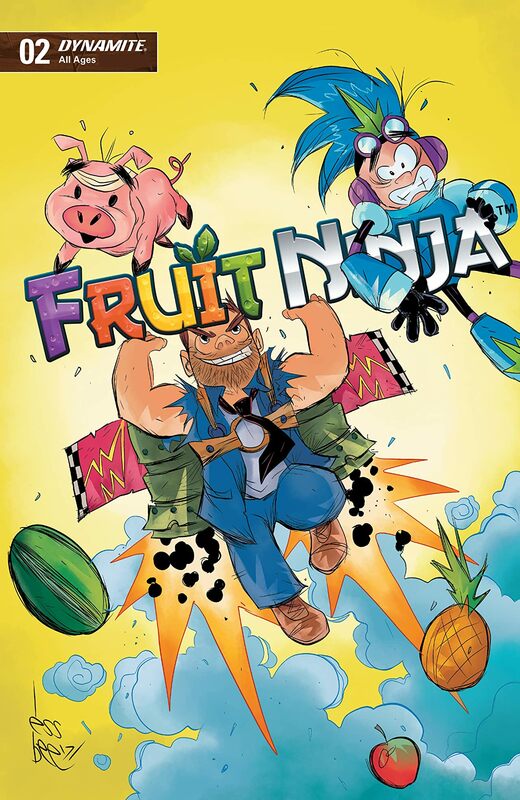 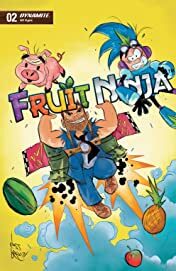 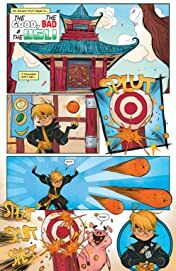 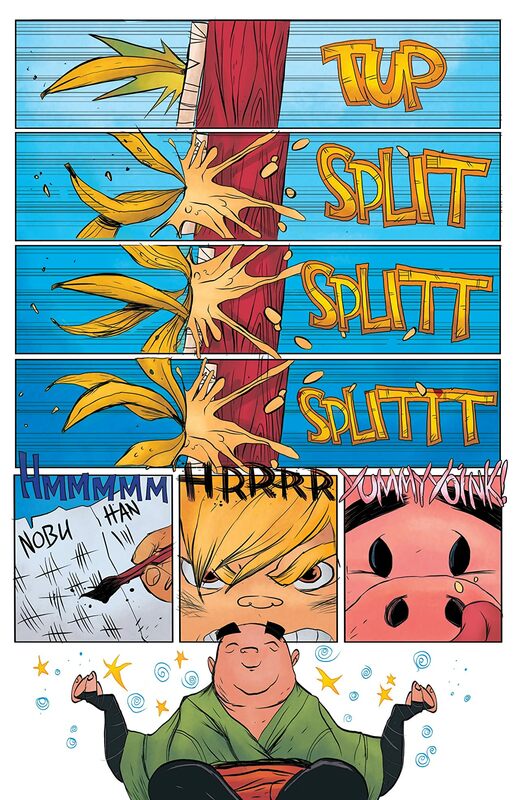 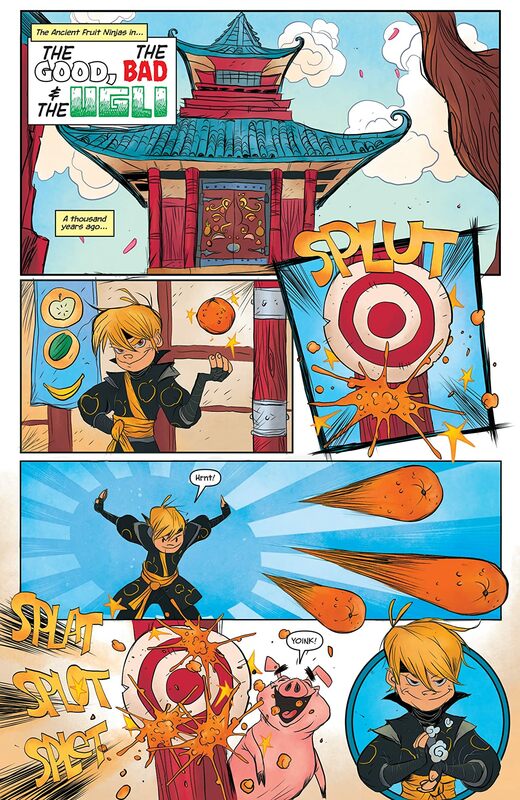 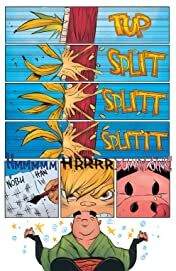 In this cram-packed issue:-MODERN FRUIT NINJAS go out on dates with date-loving cowboys who might be super-villains!-ANCIENT FRUIT NINJAS get their feelings hurt and decide to throw fruit at each other! 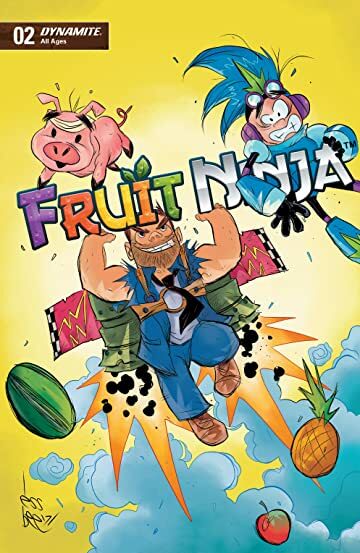 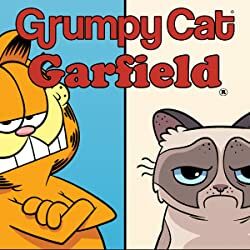 (they’re Fruit Ninjas, it’s their thing)-…and JETPACK JOYRIDE tells the story of a machine that turns ocean water into cat hairballs for ABSOLUTELY NO REASON!